With OLED technology springing from the research labs at Eastman Kodak and the University of Rochester and with OLEDWorks burgeoning OLED lighting manufacturing, the Finger Lakes region of New York harbors an abundance of OLED technology and expertise. So, what better place to showcase OLED lighting, the new paradigm of personal, affordable lighting? 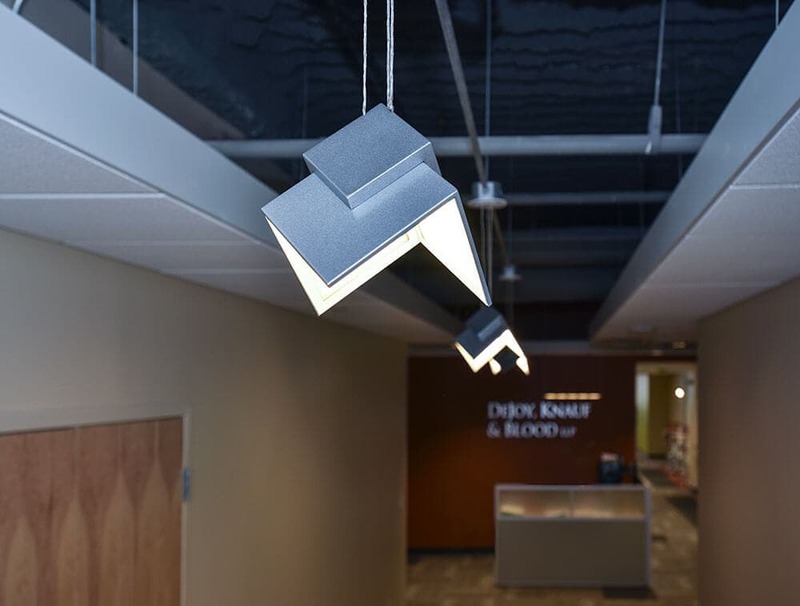 Embracing appreciation for the OLED lighting experience, a local accounting firm directed their interior design team to use solid-state lighting solutions in their new workplace in the heart of downtown Rochester. The specifiers were encouraged to use OLED and LED in concert, leveraging the combination of lighting experience for the best overall result. Subsequently, this space is being studied by the US Department of Energy as a Solid-State Lighting Gateway site. With fixtures from Acuity Brands Lighting, Visa Lighting and Designplan Lighting from the US, Birot from Mexico and emdedesign in Germany, the result is a contemporary, welcoming space with OLED lighting featured in conference rooms, common rooms and partner offices. 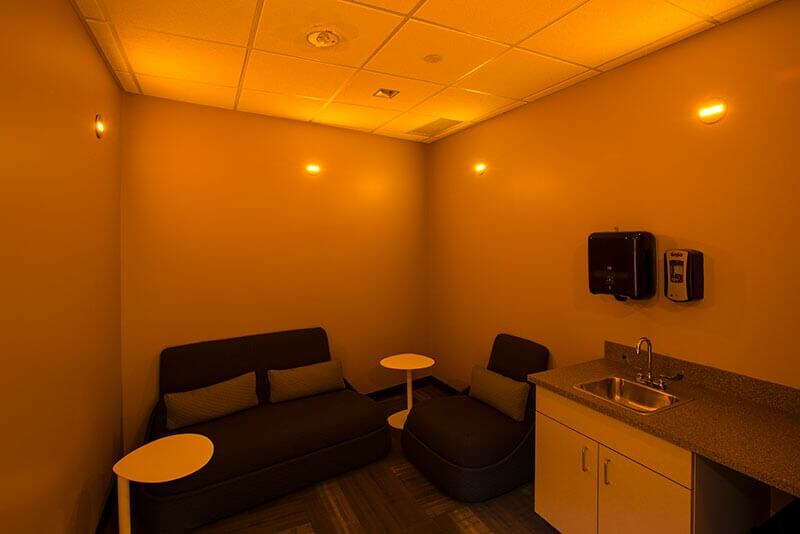 Amber OLEDs are featured in the mother’s room, providing a calm reprieve. Using OLEDWorks’ Lumiblade Brite panels, OLED light provides truly functional light as well as elegance and superb light quality.